Denise Cyzman, KAMU executive director welcomes Dr. Jack to the KAMU meeting. 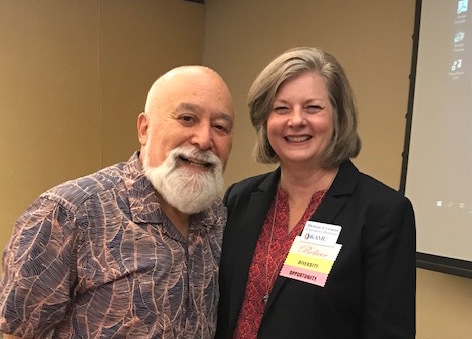 The Kansas Association for the Medically Underserved (KAMU) invited Dr. Jack Dillenberg to be their keynote speaker at their annual Primary Care Association meeting. 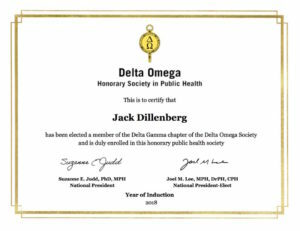 His remarks focused on the integration of oral health into primary care and the emerging value based healthcare system. 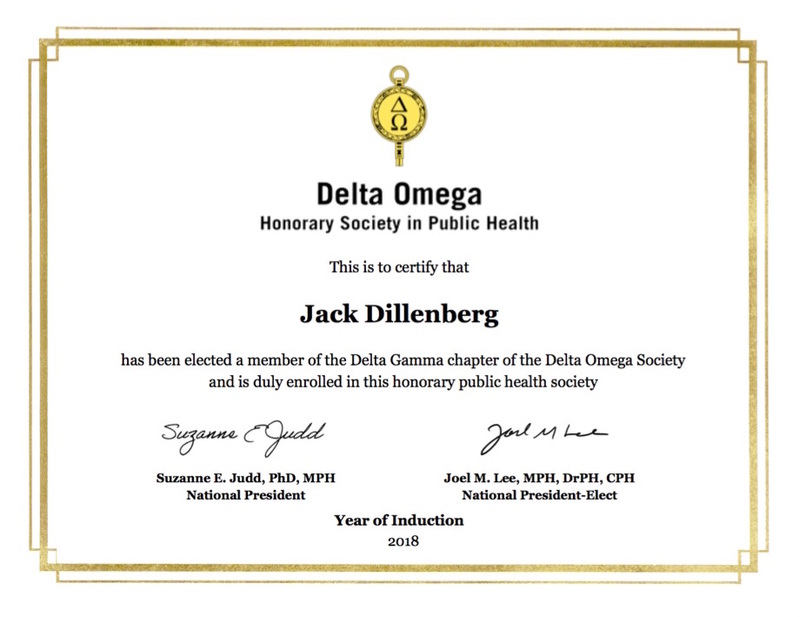 Dr. Jack Dillenberg was pleasantly surprised when he was informed he was elected into the Delta Omega Honorary Society in Public Health in recognition of his career in public health service.